Personally, if I could drink cocktails 24/7, I would. Sadly, that's frowned upon. I mean, who doesn't love a good cocktail, right? To cope, I've compiled some of my favorite cocktail recipes for you to try out at home. Cheers! 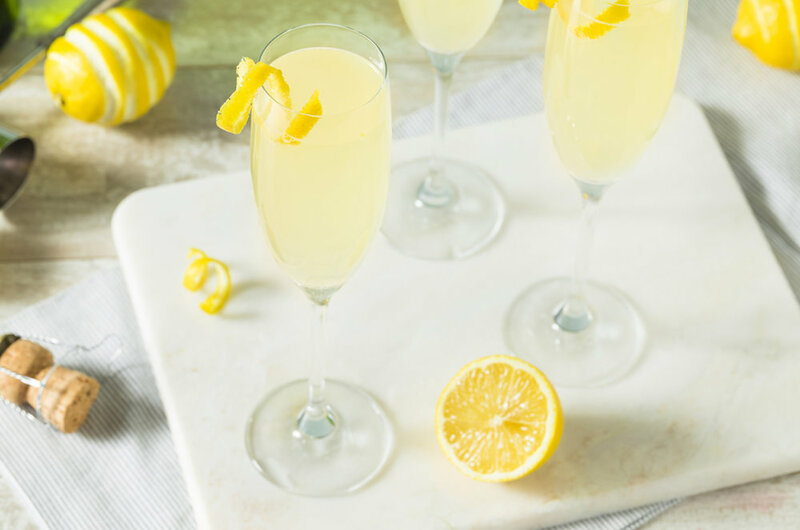 Crisp and refreshing with a lemon twist, this cocktail will be your new summer go-to. This timeless recipe dates back to the Prohibition period and populated the speakeasy scene, so you know it's got to be good. What's better than a Bellini? A blended one. It's like a boozy adult slushy. It pairs perfectly with a backyard barbecue, a good book, or laying out on the porch. Mhmm, just peachy. Never had a basil cocktail? Well don't knock it till you've tried it. This light, cool drink is guaranteed to quench your thirst form the heat. I promise this will be your new go-to drink. Twirl the sliced lemon peel around your finger to give it a little spiral and place it in the drink for garnish! Divide between champagne flutes and garnish with any leftover slices of peach. Enjoy!